Over at Treehugger there is an article about a Canadian firm, Meka, that has outsourced their prefab container homes to China. What I’m thinking is…..WHY? There are literally thousands of shipping containers sitting unused right here on our own shores in port cities spanning both coasts. Why would you outsource to China? David begins the book by giving us a sweeping overview of the Greene & Greene style of architecture, furniture, their attention to detail and the overall unifying themes expressed throughout their work. He then moves on to offer a history of how Greene & Greene came to be. Thomas Greene, the patriarch of the Greene family, determined that his sons, Charles and Henry, should have a proper profession. Charles and Henry therefore attended the Manual Training School at Washington University in St. Louis beginning in 1884 and subsequently completed their architectural training at MIT in 1891. Just two years later, after moving to Pasadena, California, Charles and Henry formed Greene & Greene Architecture and secured their first commission that same year. David moves us through a brief history and exploration of the Greenes’ architectural works that define their unique style. He goes into more detail about how each client led to the next and created a sort of “family tree” of clients that all aided in and encouraged the development of what would become one of the most amazing architectural styles of the 20th century. 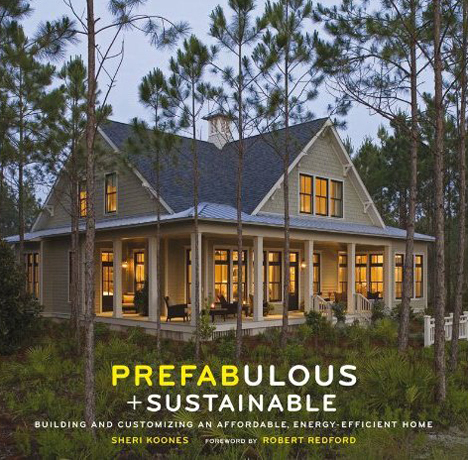 And as the title suggests, we also get a deep and detailed look at the custom furniture and fixtures the Greene’s designed for their clients – everything from side tables, dining sets, built in cabinetry and seating to light fixtures, stained glass, doors and windows. 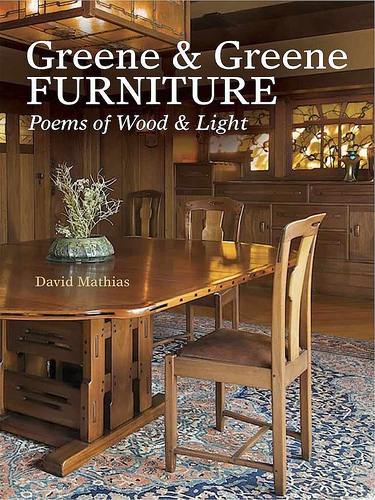 In short, Greene & Greene Furniture: Poems of Wood and Light is an amazing journey through the growth and development of two of the most influential residential architects in American History (this may just be my own personal opinion, but I stand by the statement nonetheless). 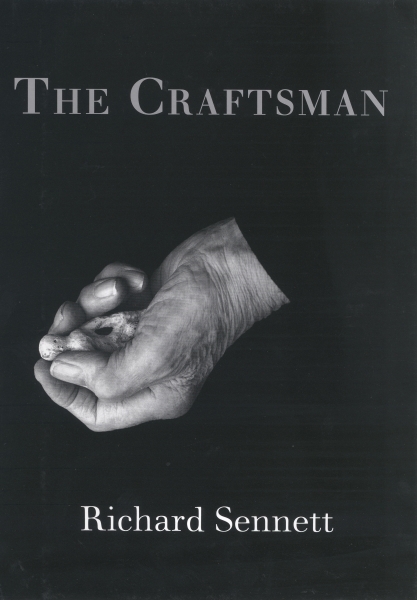 Anyone with a passion for, or just a passing interest in, furniture and architecture needs to have this book on the shelf as a reference guide for quality craftsmanship and obsessive attention to detail. I’ve been developing this home for about a couple of weeks (it’s more work than it sounds, trust me), and I am extremely excited about it. The Oblique is a 3 bedrood, 2 bath single family home, with an office, that can either be constructed using a mixture of High Cube shipping containers (9′-6″ in height as opposed to standard 8′-0″) and SIPs (Structural Insulated Panels) or only with SIPs. It can also be modified for slab on grade or stem wall foundations with or without a basement. 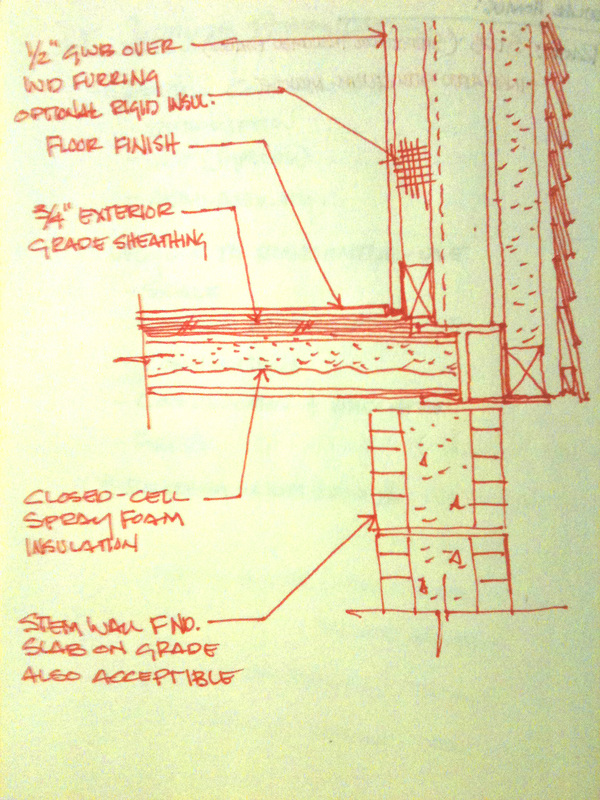 The images below are for slab on grade foundations (typical Florida construction). 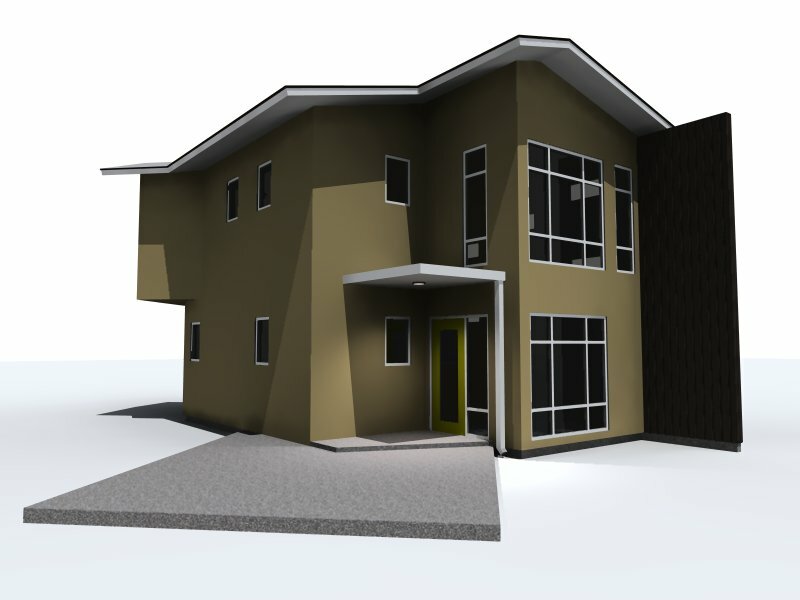 Using a combination of SIPs and ISBU containers, I was able to design a home that is based on a fixed module which allows for easy fabrication either on site or off site via modular manufacturing. 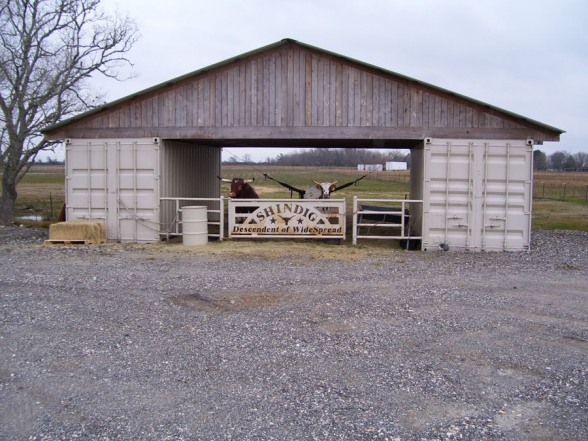 Because the basic building unit is only 8′ wide, it can be easily set on a truck and shipped to the site for erection after fabrication, vastly cutting down on construction time. And, coming in at around 920 square feet (conditioned), the footprint is small enough to fit almost any residential site. This home is also designed with sustainability in mind as well. All windows are high efficiency, low E, aluminum clad wood casement and awning windows; exterior walls are intended to be R-30 or better; all toilets and plumbing fixtures would be low flow with a recycling gray water system; appliances will be Energy Star or better; and the standing seam metal roof is installed on a SIP roof panel system with integrated solar cells to provide 30-50% of the required electricity for the home. Rain water collection can also be incorporated for irrigation, flushing toilets and washing dishes. 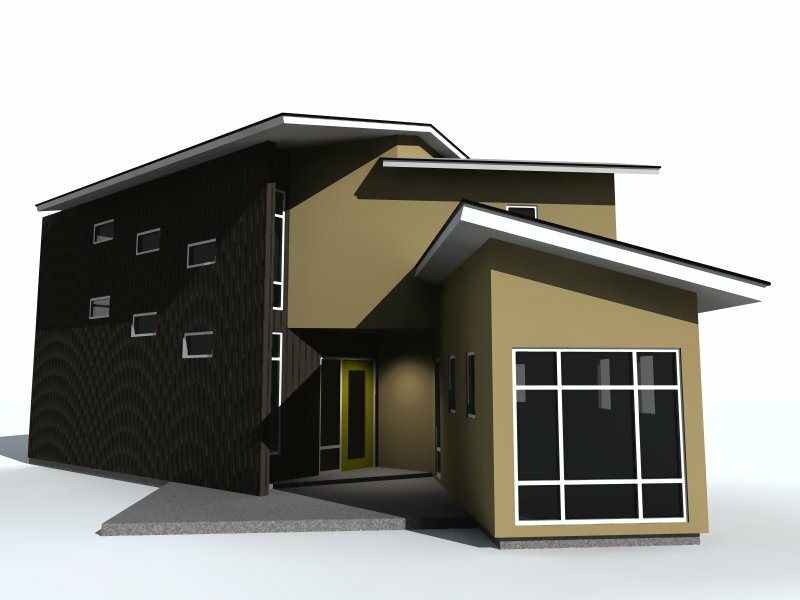 The Oblique is designed for efficient, sustainable living. It is not a McMansion, but neither is it a “tiny” house either. Interior spaces are still generous and open while not adding space simply for the sake of “space”. 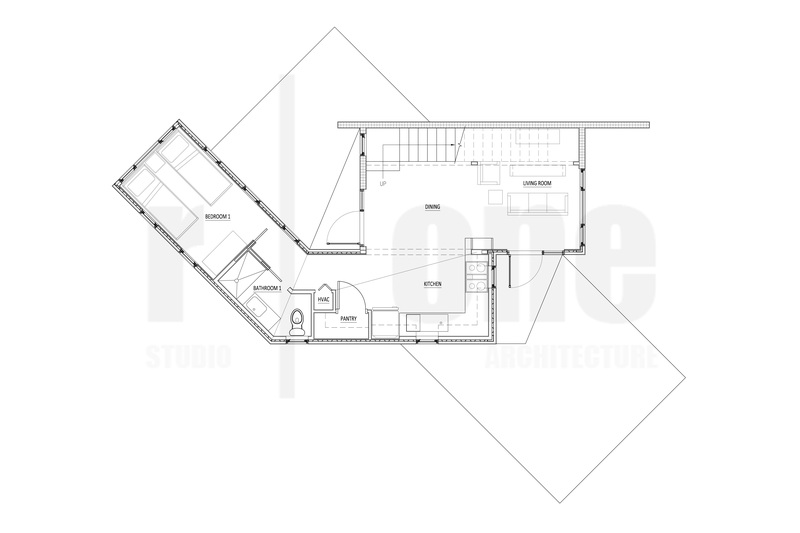 first floor plan - n.t.s. My last post on container wall construction seemed to be very popular. Thanks to everyone who clicked, read and offered comments. I hope everyone enjoys this post on how to construct the floor of a shipping container. First a little review: As you’ll remember from last time, containers are not initially intended to house humans….or dogs, cats…really anything with skin and/or fur is not meant to be housed in these things. The paint is toxic and needs to be either sandblasted and coated with impervious paint, or (if you take the short cut) simply painted with impervious paint (this is really not recommended). The floor, also, is not friendly to us or anything else as it is typically either OSB or standard plywood soaked in formaldehyde so that it doesn’t rot as it travels across the globe being beaten to hell by God and Creation. So, we need to get rid of it, again, safely. Contact your local EPA to find out how to properly dispose of this crap – believe me you don’t want to hang on to it. Once you’ve removed the plywood floor, you’ll see the structural steel ribs below that give the container it’s horizontal support. Now, we’ve got a couple of options on how we can build our floor. It all depends on your foundation type: whether your containers are off grade on a stem wall or sitting on a slab. The easy option is to screw down a new subfloor (either plywood or OSB) and, while you’re spraying the exterior of the container with SPF, simply spray the underside of the floor as well, thus insulating and sealing the underside of the container. Then install whatever floor finish you choose – tile, vct, carpet, hardwood, engineered wood, cork, bamboo…you could even leave the plywood exposed and finish it with a polyurethane for that “industrial” look. Another option for the floors, one that is much more sturdy and permanent, in my opinion, is to use concrete. A typical concrete floor with deck is approximately 4″ thick (2 1/2″ of corrugated metal deck and 1 1/2″ of lightweight concrete fill). If poured on grade, you’ll also have about 2″ of foam insulation underneath with a vapor barrier to prevent water intrusion through the slab. 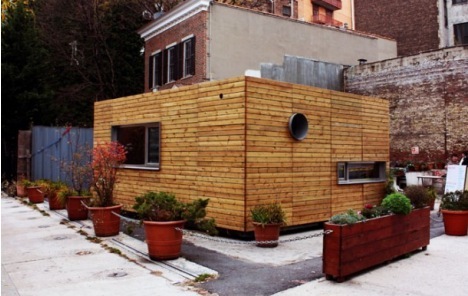 For a container, what we do is first lay in exterior grade plywood (5/8″ min.) between all of those steel joists, followed by 2″ of rigid foam insulation (you can find this stuff everywhere – even for free). On top of the foam you pour your concrete (3″ – 4″) with a medium gauge welded wire fabric. The concrete is leveled, smoothed and finished in any number of ways – saw cut, stained, brushed, etc. Also, don’t forget to add in at least 2 expansion joints across the length of the container. Steel and concrete move in very different ways and the last thing you want is a huge crack from expansion and contraction of the steel. 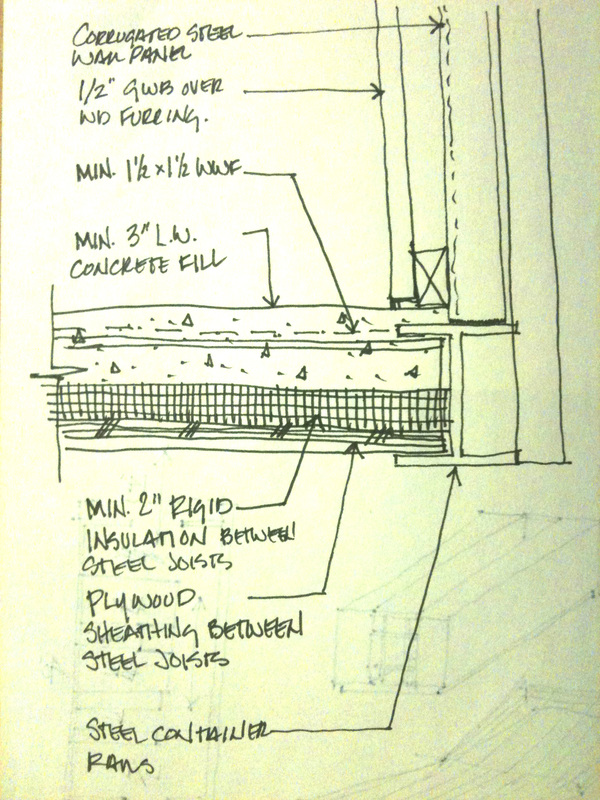 Essentially what we’ve created is a reinforced waffle slab that is insulated between the steel joists. Any thermal bridging at the joists will be minimal. Whichever option you choose for the floor of your new container home, be sure to consult with a local structural engineer and your local building inspector/plans examiner to make sure that you are building to proper code. 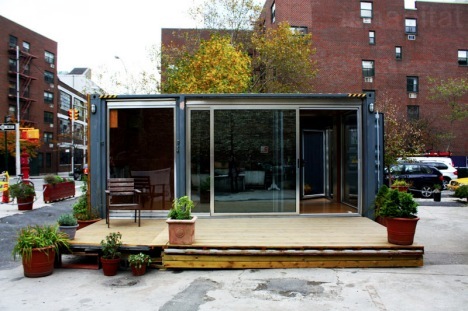 While containers provide an inexpensive building unit with which to construct a home, remember there are important steps that need to be taken in order to make them habitable and safe according to modern building codes. Over at Renaissance Ronin, a blog that I follow regularly, I saw the image above that sparked some inspiration for a small ranch container home (could also easily be a pool house or guest house as well). In the image above you can see that the structure is very simple – two 20′ containers spaced about 18′ apart with a simple gable roof spanning the gap. Using the same concept, I’ve taken (2) 20′ High Cube containers with a 24′ span between for an overall width of 40′ (I’m using a more generous span in order to maximize the public/entertaining space – you can reduce this span as needed for your purposes). The first container contains the entry and a small coat closet and one bedroom. 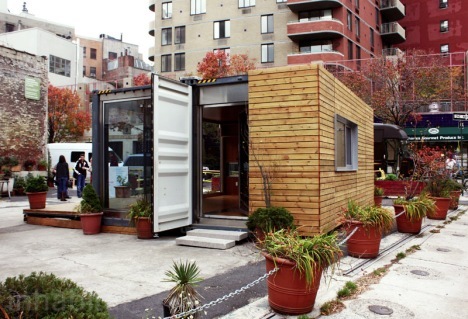 The second container contains one bedroom, one bathroom and a utility closet. 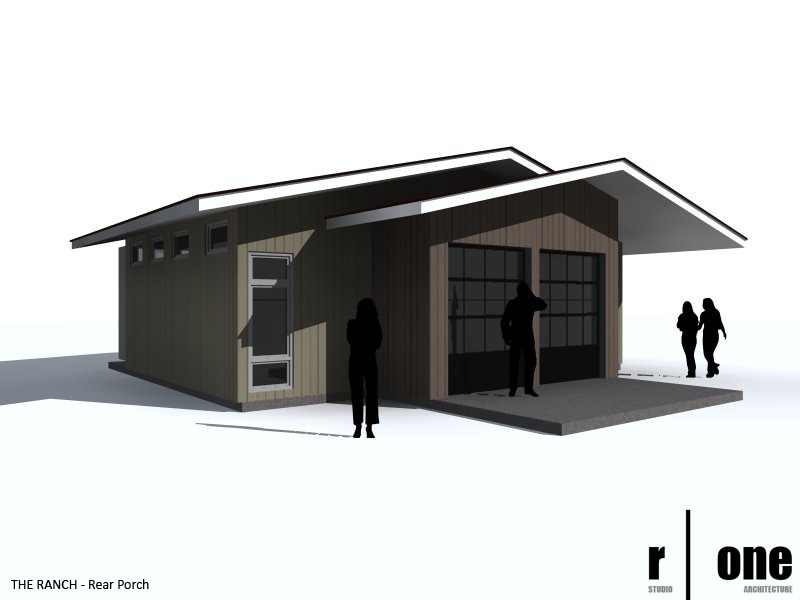 This design could easily be modified as a small pool house with one bedroom and one bathroom, making the additional bedroom equipment storage for the pool – possibly even a pump house if necessary. The large roll-up doors (insulated of course) allow the user to completely open the public living spaces to the outside for entertaining or just to enjoy the outside. The slab on grade foundation allows for easy construction and assembly. 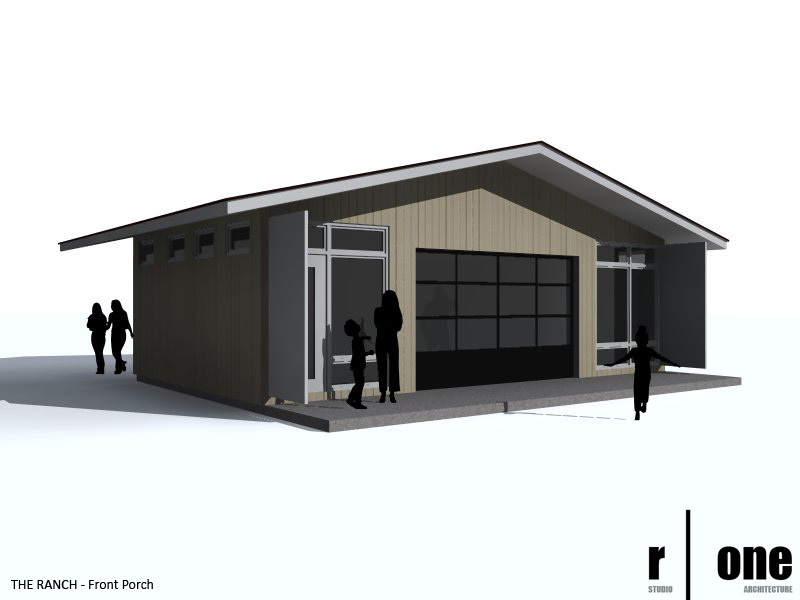 The vertical siding and wood awning windows give a clean modern aesthetic while saving cost and at just over 800 sf there is plenty of space under roof for all your living/entertaining needs. Add a standing seam metal roof with integrated solar panels, rain water collection and composting toilets and you’ve got an off-grid home or guest house that will save you money instead of eating resources. One of my biggest passions is reading. I’ve read hundreds, if not a thousand or more, books in my lifetime and I don’t ever plan on stopping. It gives me time to escape the daily grind and relax into someone elses story for a while. One of the things that I’m embarking on this year is to read more architecture books – books on design, theory, living, history, interiors, furniture, etc. Fiction is great, I love fiction, but in an effort to expand my horizons as an architect and designer I feel it’s time to put down the fictitious and pick up the real. Below are some of the books that I’ve come across to put on the initial list. I would love to hear ideas from others (this means you) on what books I should read. I’ll be posting my own reviews as I read through each book and, once finished, I’ll be giving them away (my wife won’t let me keep any more books…it really is that bad) via random drawings on this site, so stay tuned and please comment. I actually got this book for Christmas after posting it on my Facebook page (thanks mom). 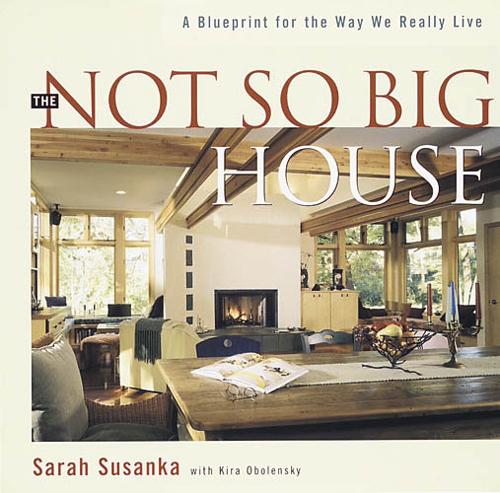 I’ve always been fascinated by the Craftsman Style (I even live in one) and this book takes you not just through the evolution of furniture but of the architecture as well. The photos and details in this book are simply amazing – including some original hand sketches and drawings. I haven’t read through the whole thing yet, but I’m working on it, so bear with me. I think this is probably enough to get me started, no? Again, I want to hear from anyone and everyone your suggestions for books on anything even remotely related to architecture and design that you think I should be reading. Cheers. If you’re an architect or designer and you feel like moaning and groaning about….whatever, go read this article…you’ll suddenly want to be much more optimistic.